Hundreds of seventh- and eight-grade gifted students from the Dysart Unified School District attended the Gifted Conference and Expo. The theme of the STEM-driven conference was about sparking passions and encouraging the young students to pursue them. 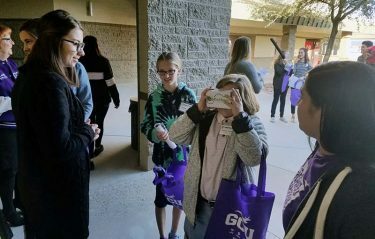 Grand Canyon University professor Katy Long and three GCU students in the College of Education hosted a booth at the event that explored virtual reality through the use of Google Cardboard.